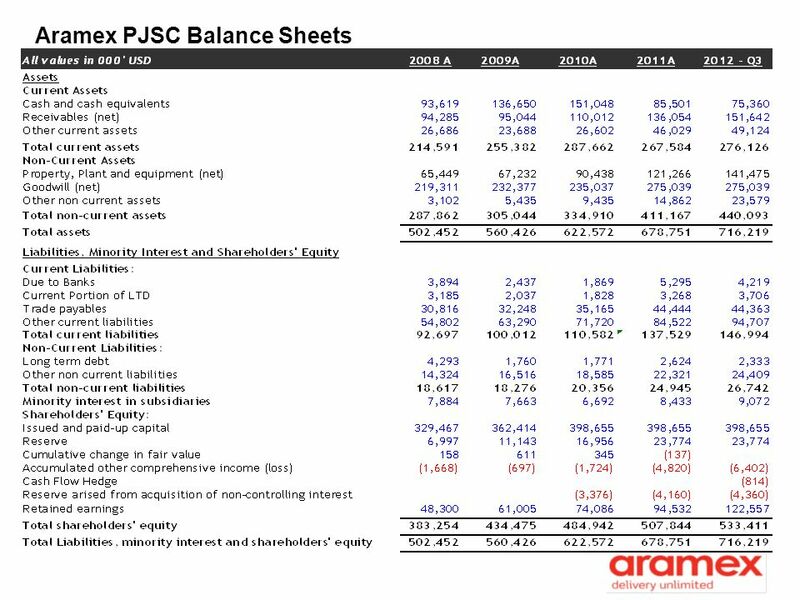 Aramex PJSC Investor Presentation 3rd quarter 2012. 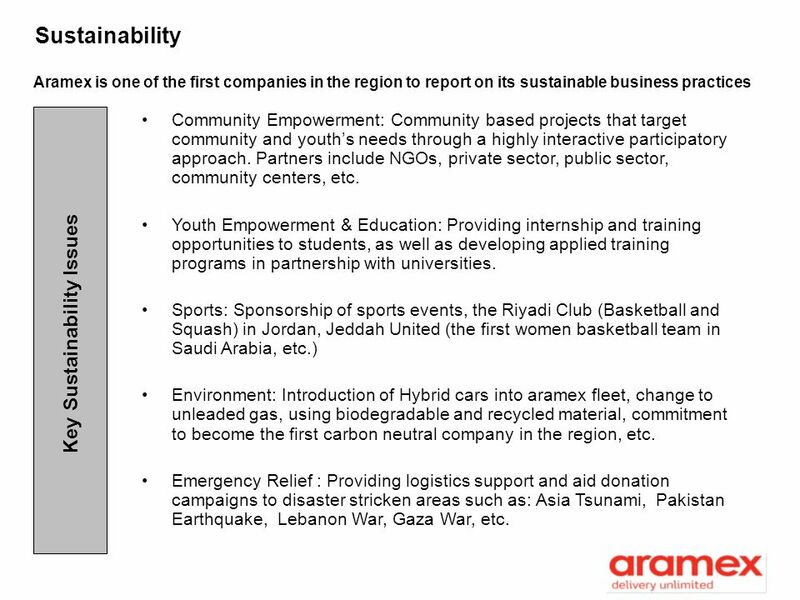 Aramex is one of the first companies in the region to report on its sustainable business practices Key Sustainability Issues Community Empowerment: Community based projects that target community and youth’s needs through a highly interactive participatory approach. Partners include NGOs, private sector, public sector, community centers, etc. Youth Empowerment & Education: Providing internship and training opportunities to students, as well as developing applied training programs in partnership with universities. Sports: Sponsorship of sports events, the Riyadi Club (Basketball and Squash) in Jordan, Jeddah United (the first women basketball team in Saudi Arabia, etc.) 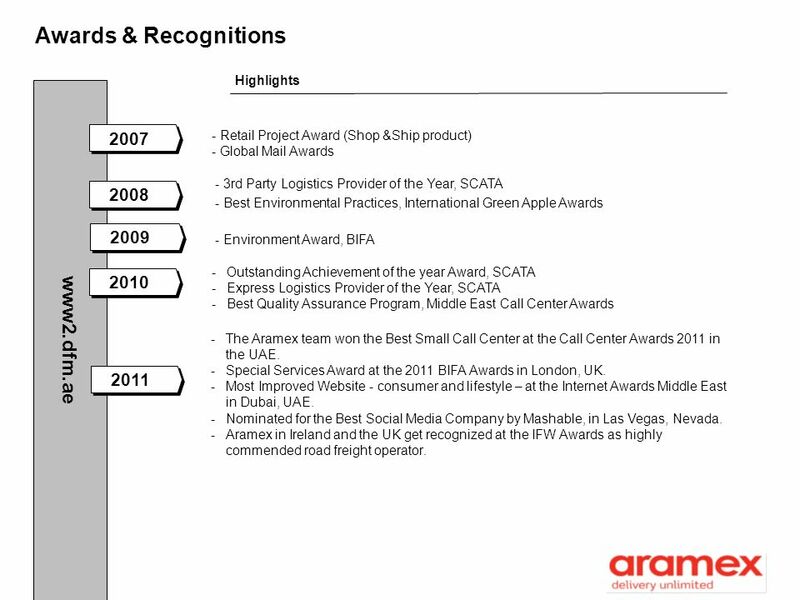 Environment: Introduction of Hybrid cars into aramex fleet, change to unleaded gas, using biodegradable and recycled material, commitment to become the first carbon neutral company in the region, etc. Emergency Relief : Providing logistics support and aid donation campaigns to disaster stricken areas such as: Asia Tsunami, Pakistan Earthquake, Lebanon War, Gaza War, etc. 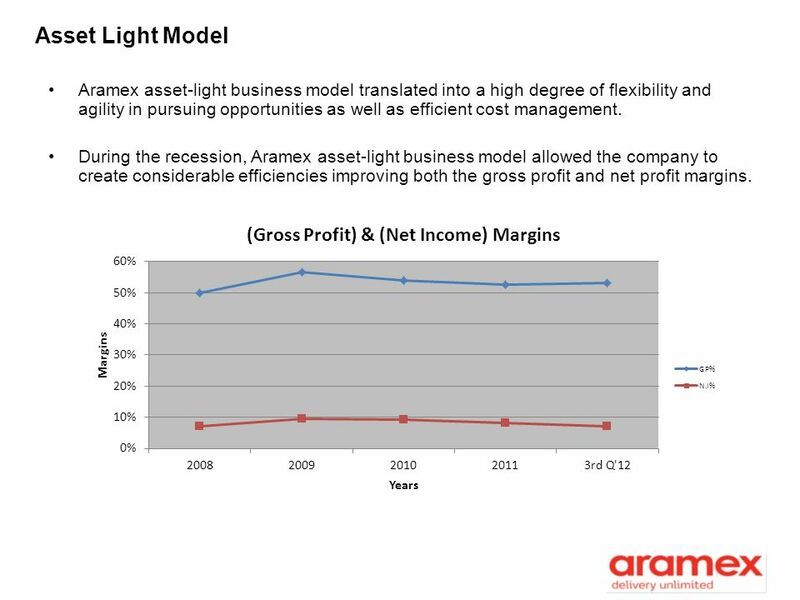 11 Asset Light Model Aramex asset-light business model translated into a high degree of flexibility and agility in pursuing opportunities as well as efficient cost management. 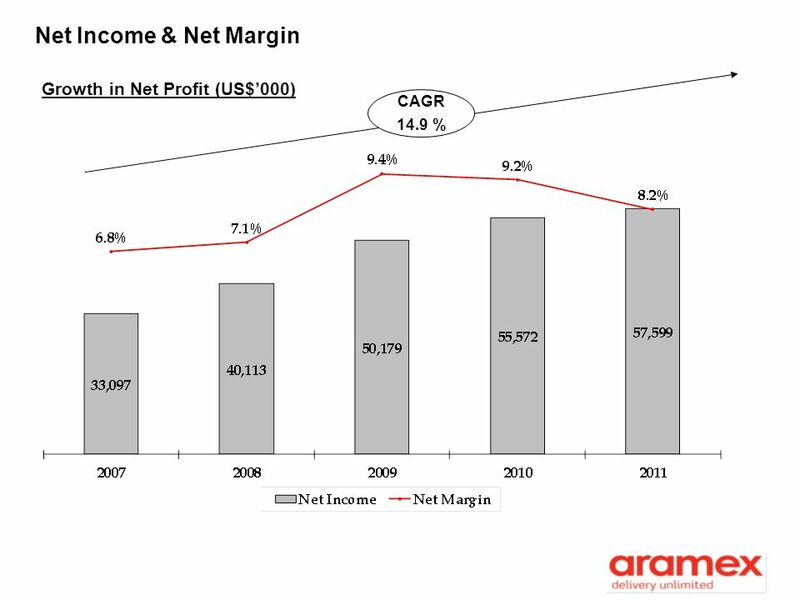 During the recession, Aramex asset-light business model allowed the company to create considerable efficiencies improving both the gross profit and net profit margins. Emerging markets: Capitalizing on experience, technology, product offering and international network by expanding the geographic reach into emerging economies with high growth potential. Core markets: Leveraging and expanding infrastructure in existing geographic locations to strengthen market positioning by introducing new products and services. 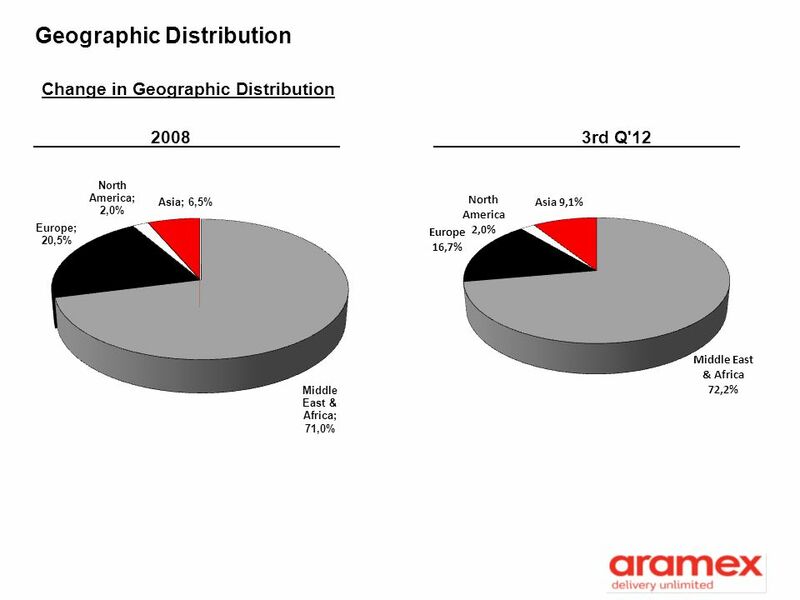 Mediums of geographic expansion: Franchising which will provide Aramex with a revenue stream, requiring minimal capital and management. 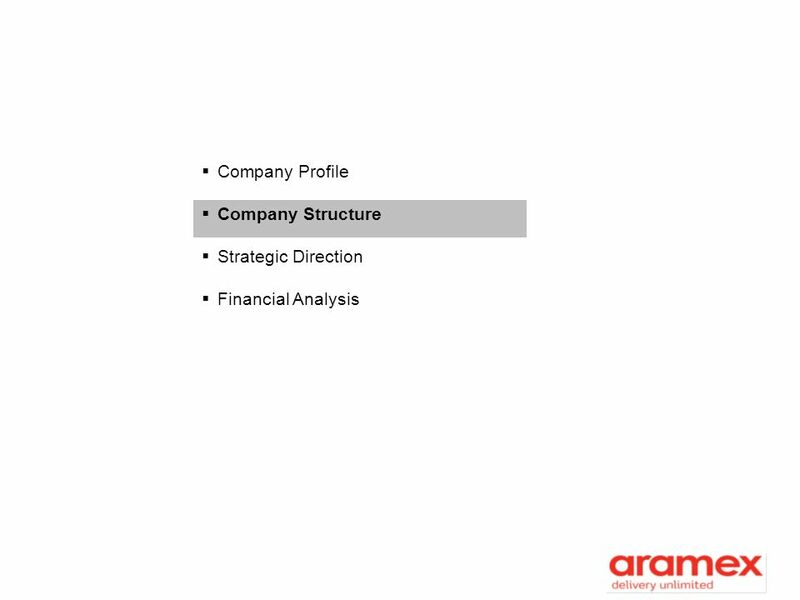 Small and medium-sized attractive acquisitions and Joint Ventures which can be integrated. 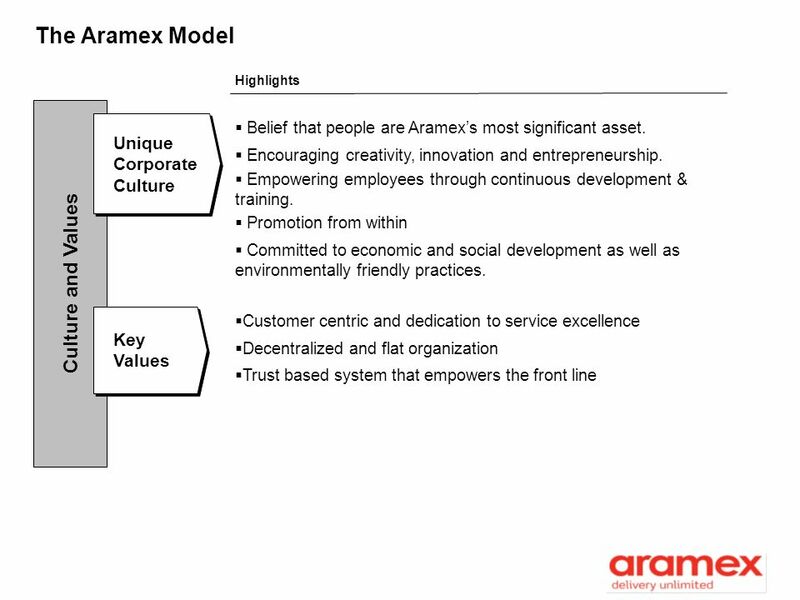 Aramex has extensive knowledge and experience in underdeveloped and developing markets and sees tremendous value in developing its global network by introducing its asset light model and product offering into new markets with high growth potential. 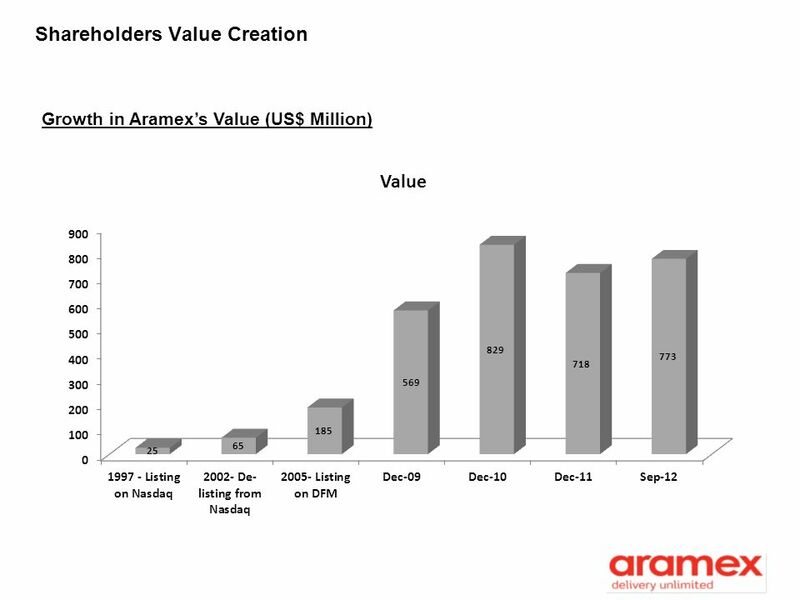 Taking the Aramex model to new markets will strengthen its position as a key global provider specialized in emerging markets while operating a global independent network: Potential areas for expansion Africa and CIS: Aramex is looking to invest in key African and CIS markets that enjoy political stability and economic growth potentials by working with partners that possess industry knowledge and can benefit from Aramex’s network and know-how. 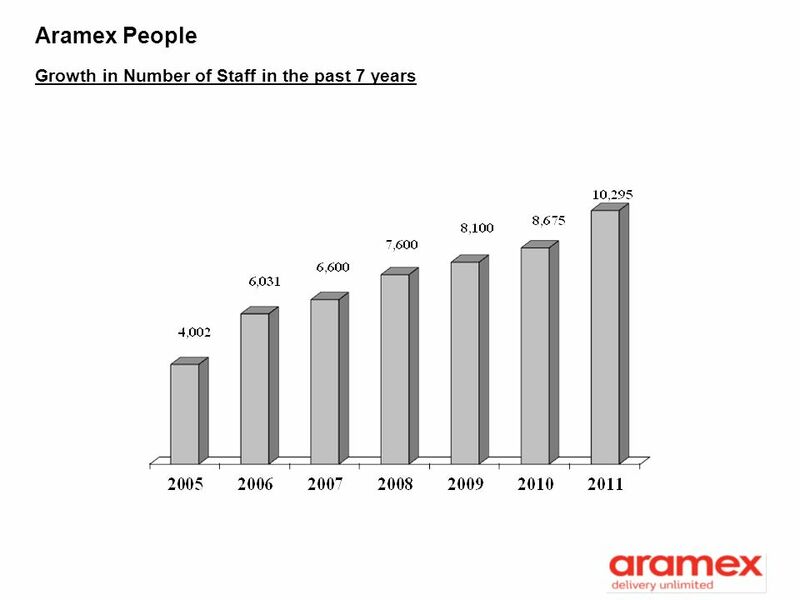 Asia: Aramex will further expand its current operations in locations like Singapore, Hong Kong, Indonesia, Vietnam, while developing its gateways in China and looking for investment opportunities in other South East Asian countries. 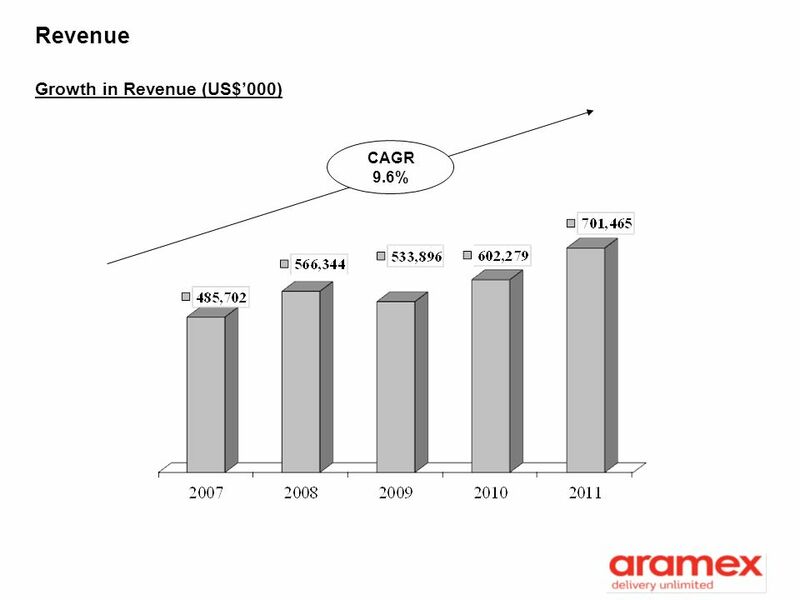 The Asian presence aims at servicing important trade routes between Asian markets and other markets. 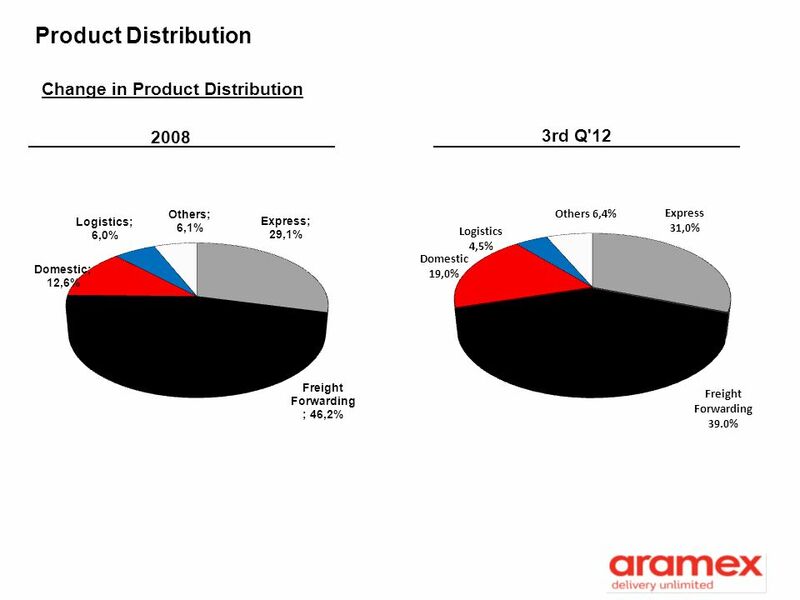 India: Aramex has a sizable operation in India that offers international and domestic express service, and is looking to further enlarge its geographic presence and product offering. 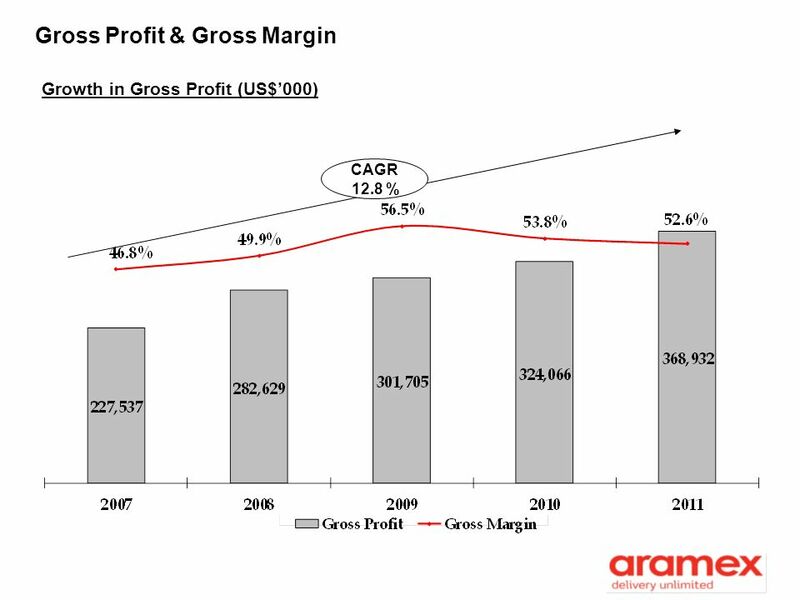 Aramex can offer potential franchisees its established IT systems technology that is capable of running multiple transportation products using latest internet based technology. 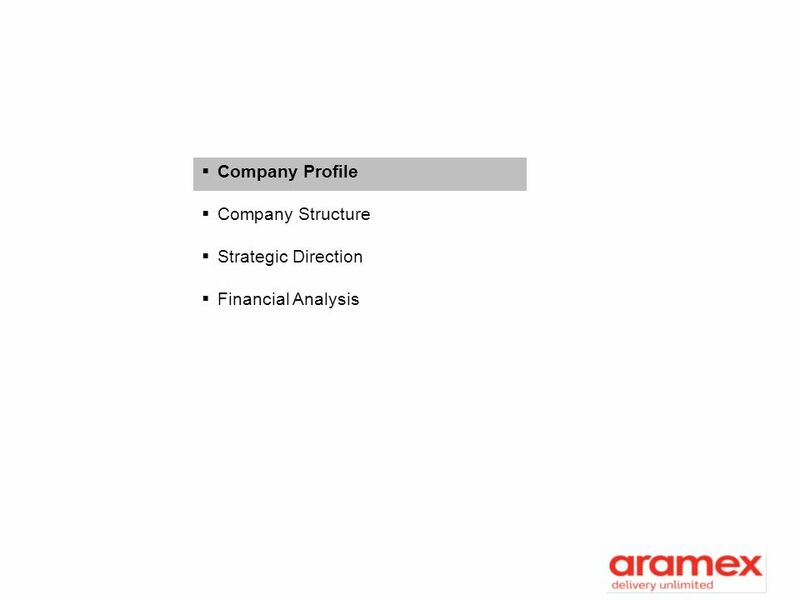 In addition the Aramex independent international network and brand can provide opportunities for growth to local and regional transportation companies looking to offer a global service. 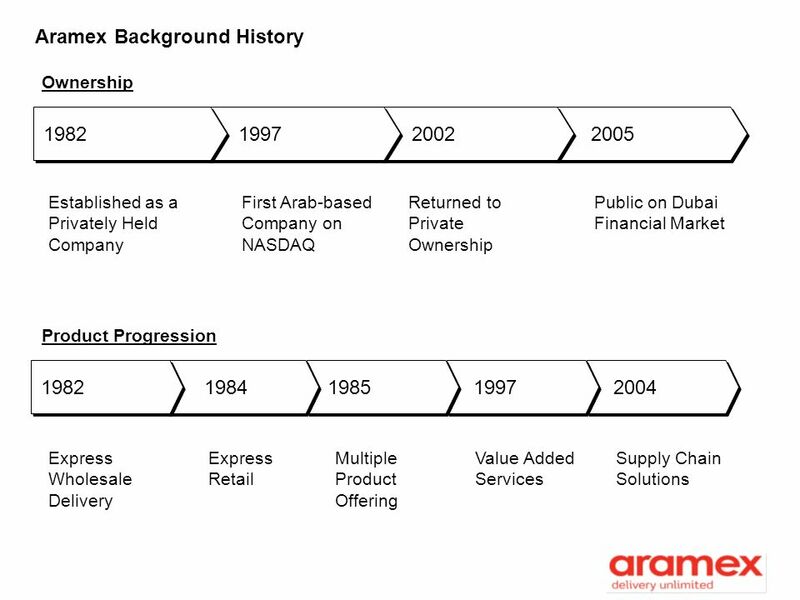 At the same time, Aramex can benefit from the local knowledge of such independent local companies to facilitate market entry, grow its revenue base, expand its brand awareness and improve service offering. 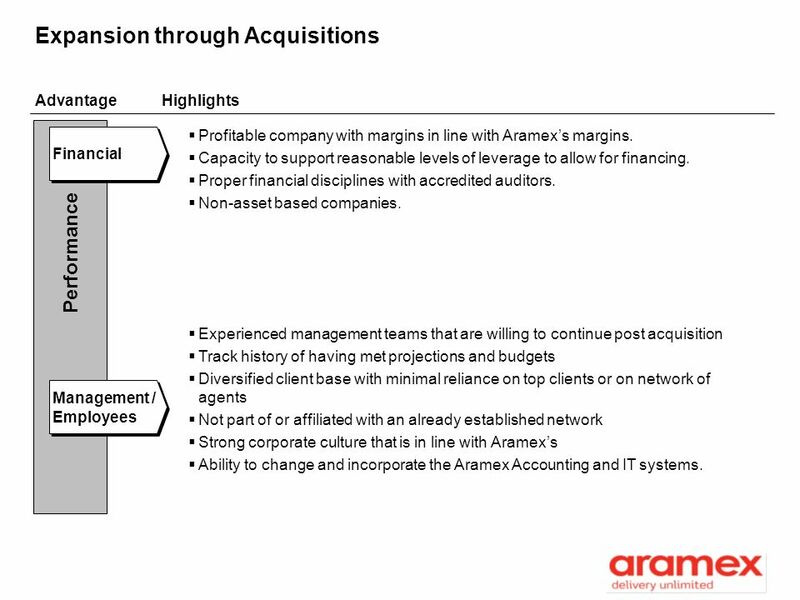 As part of the franchise program, Aramex has the ability to acquire a majority stake at favorable valuations which will provide attract acquisition targets. 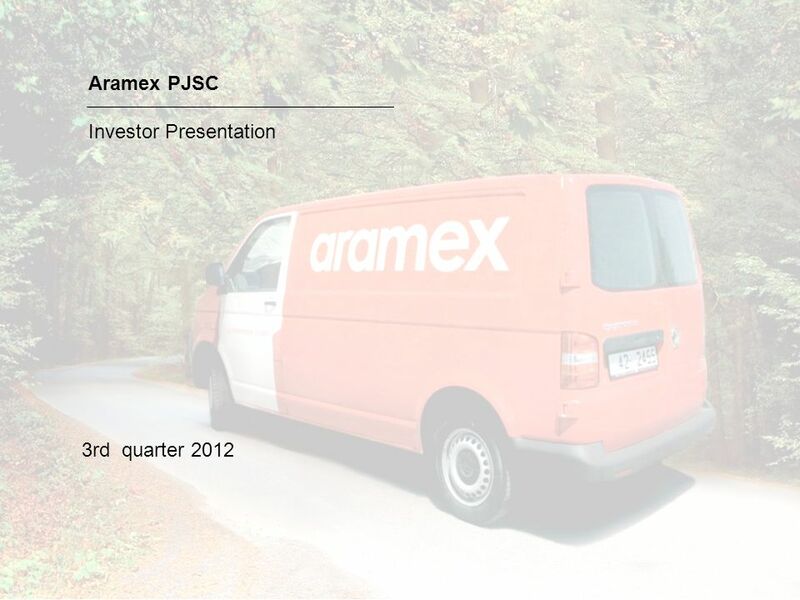 Download ppt "Aramex PJSC Investor Presentation 3rd quarter 2012." Commercializing Swiss Re’s Sustainability Commitment via Innovative Financing Options. 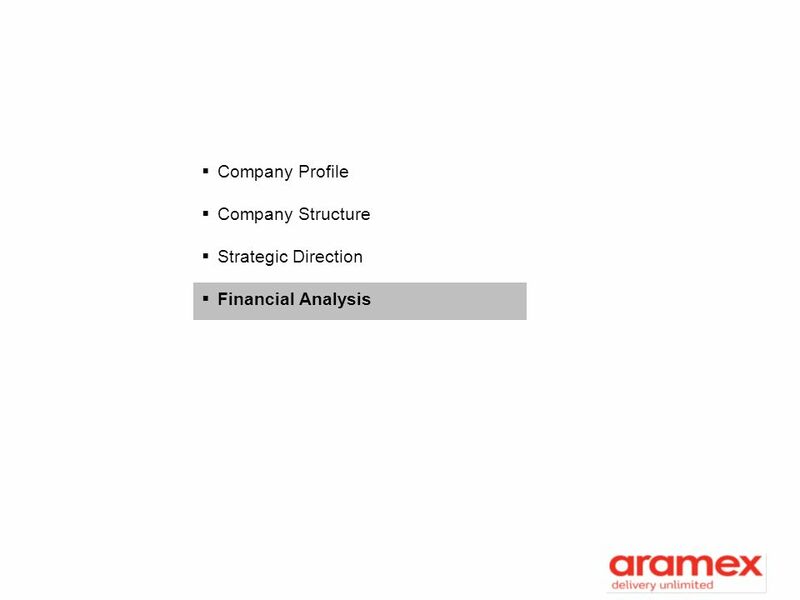 Information contained in this presentation is accurate as of June 2013 Global Ports Connecting Global Markets. 1. 2 WELCOME 3 Table of contents  Welcome  Salient features  Sustainability achievements  Financial review  Strategy ›Short-term challenges and. 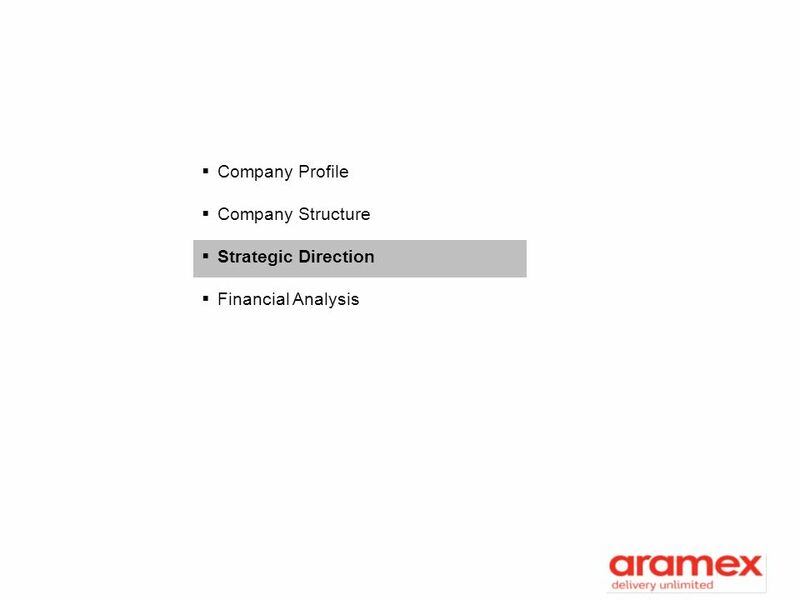 DESIGNING THE FUTURE OF BUSINESS DESIGN BUSINESS BRIDGE. UK TRADE & INVESTMENT (UKTI). Anthony Arkle Energy & Infrastructure Inward Investment Projects 4 th December 2009. Are You Prepared For International Expansion? Michael Woida Vice President, International CKE Restaurants, Inc.
LogNet Information Technologies PLC May Innovative software company of customer experience solutions for multiple verticals Core products include. 1 Investment Opportunities in the Petrochemical Sector in Qatar By: Hamad Rashid Al Mohannadi Vice Chairman of QAPCO Board of Directors & General Manager.